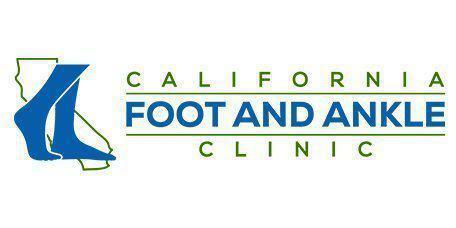 Custom orthotics can be the ideal solution for many foot and ankle problems, including many types of chronic foot pain. At California Foot and Ankle, Dr. Sahand Golshan uses advanced measurement and evaluation techniques to provide patients from throughout Riverside, CA, with the orthotics solutions they need for long-term relief of symptoms. Orthotics are shoe inserts provided by a podiatrist that can be used to treat and correct an array of foot-related issues as well as problems that affect the ankles, knees, and even the lower back. Orthotics are custom made for each patient and based on an in-depth analysis of foot shape, pressure points, gait patterns, symptoms and other issues. Custom orthotics can be crafted to fit most types of shoes including athletic shoes and high heels. What Conditions Can Be Treated With Custom Orthotics? Orthotics can also be crafted to address ankle instability and balance problems. Can I Buy Orthotics In The Drugstore? Over-the-counter orthotics are far different from custom orthotics obtained through a podiatrist. First, orthotics from the drugstore are manufactured for the mass market and based on broad principles of foot shape, symptoms, pressure points and other factors that can vary significantly from one person to another. As a result, they can do little to treat the underlying causes of foot and ankle problems, and in many cases, they can cause issues to become worse by altering balance and pressure points while also delaying professional care. Custom orthotics are made for the individual patient, based on a thorough evaluation of the patient's specific needs and other factors for far superior care and outcomes and significantly greater comfort. Plus, custom orthotics are made of strong, durable materials so they can last for a very long time. What Happens During a Fitting For A Prescription Orthotic? Fittings begin with a review of the patient's symptoms and a complete medical history, followed by an examination of the foot, ankle, and gait pattern. Special techniques are used to carefully measure the foot, then the results of the exam and the measurements are sent to a special lab where the custom orthotic will be made.